Home » india news » Did Siddaramaiah's 'Anti-Bangalore' image cost Congress the civic polls? Did Siddaramaiah's 'Anti-Bangalore' image cost Congress the civic polls? Did Modi's Swachh Bharat win over Bangaloreans after 5 years of filth, potholes & unplanned urbanization? The Congress failed to win #BBMPpolls despite BJP's scam-tainted run. What does this mean for Siddaramaiah? The Congress suffered a jolt on Tuesday, losing the Bangalore civic polls. This is the first time in over two decades that a party governing Karnataka lost the local body elections in the state capital. The BJP, which the Congress defeated in the May 2013 Assembly elections, did unexpectedly well to retain its hold over the Bruhat Bengaluru Mahanagara Palike (BBMP). This prompted a quick tweet from Prime Minister Narendra Modi, congratulating local BJP leaders for a hat trick after the recent successes in Madhya Pradesh and Rajasthan. Siddaramaiah's anti-Bangalore image could have played a big part in the rout - the Congress could manage to win only 75 of the 197 wards where polling was held on Sunday. A 100 seats ensured a handsome victory for the BJP, on the other hand. The JD (S) could bag 14 while independents won in 8 wards. Polling was not held in one constituency. The Congress has a history of changing chief ministers to let them know their place. In Karnataka, the Congress had three CMs in a single term in the '90s - Veerendra Patil gave way to S Bangarappa, who was replaced by Veerappa Moily in the last two years. It doesn't look like that Siddaramaiah will suffer a fate like that immediately as he enjoys the trust of party president Sonia Gandhi. But he has no dearth detractors. Congress vice-president Rahul Gandhi, who had initially backed Siddaramaiah, has turned cold to him of late while Robert Vadra has been spreading the word that 'Mummy' (Sonia) is unhappy with the CM. Luckily for Siddaramaiah, the party has been considerably weakened after last year's Lok Sabha debacle and the high command cant afford to destabilise his government. Karnataka and Kerala are the only large states outside the North East where the Congress is in power. 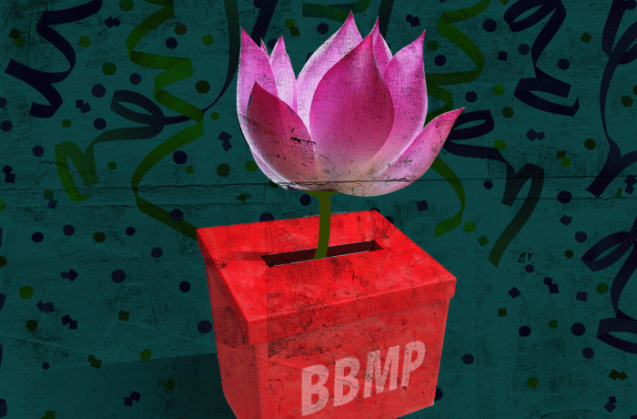 Ironically, the BJP's scandal-ridden term in the BBMP brought little cheer to Bangaloreans in the last five years and the party had prepared sit in the Opposition. In the last three months, Siddaramaiah did several rounds of the city, reminding voters that he held the purse strings for Bangalore's development. Pre-poll surveys had predicted that the Congress would defeat the BJP. Until Monday night, the buzz was that even if the Congress trail the BJP slightly, it could cobble up a majority with the help of the JD(S) and independents. The BJP, too, was preparing to seek support from JD(S), with which it already has an understanding in the Legislative Council. As there are 52 non-corporator MLAs, MLCs and MPs with voting rights, the Congress needed 104 seats and the BJP required 103 seats for a simple majority. But the Congress's dismal performance has put the BJP in the driver's seat. And the eight independents can see it through to its goal. That would also put to rest the hopes of the JD (S), led by former Prime Minister HD Deve Gowda and his son Kumaraswamy, to play kingmaker. Several factors went against the Congress. The party failed to capitalise on the BJP's misrule in the BBMP - hundreds of crores of public funds were squandered over five years, leaving the civic body penniless and the city stinking of undisposed garbage. A 2013 audit in just three of the city's 28 Assembly segments (Gandhinagar, Malleshwaram and Rajarajeshwari Nagar) detected Rs 1,539 crore worth of projects only on paper. Fake bills were rampant and the auditors concluded that there was "large scale irregularity, fabrication of documents and defalcation of funds," involving several corporators and officials. Siddaramaiah came to power promising to clean up the mess and ensure punishment to the guilty. However, he soon realised that MLAs and corporators of his party, too, had their hand in the till. Some of them even joined his ministry. A Lokayukta raid on Congress corporator Muniratna Naidu's premises yielded around 900 files. Three mid-level officials were caught faking bills late at night. But instead of acting against Naidu, the Congress elevated him to being an MLA. Hundreds of files related to another investigation mysteriously caught fire in the corporation office, and the government made no effort to find out the culprits. The BJP would have suffered its share of woes had Siddaramaiah held the BBMP polls on time in March. But his government keep postponing it. Two days before the elected body's term was to end, the government dissolved it and appointed a dynamic administrator to earn some quick points. It also appointed a three-member expert committee, which recommended a trifurcation of the BBMP for better administration. This way, Siddaramaiah hoped to squeeze out at least a year to win over Bangaloreans. But the courts put their feet down. The government moved the Karnataka High Court and the Supreme Court half a dozen times on one pretext or the other, but got relief for a mere six weeks. The Opposition pounced upon Siddaramaiah's dithering and made an issue out of it. The hurried move to trifurcate the BBMP through a special session of the legislature also didn't go down well with the voters. As Bangaloreans spent five years amid uncleared garbage, suffering pot-holed roads, traffic snarls and haphazard growth, perhaps Prime Minister Narendra Modi's campaign of Swachh Bharat and smart cities rang a bell with them despite the BJP's poor track record in the city. 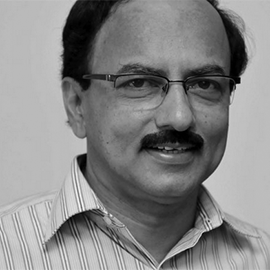 Ramkrishna Upadhya is a senior journalist based in Bangalore, currently working with TV9. Earlier, he was with Deccan Herald, The Telegraph and The Indian Express. TWEET THIS Did Modi's Swachh Bharat win over Bangaloreans after 5 years of filth, potholes & unplanned urbanization? The Congress failed to win #BBMPpolls despite BJP's scam-tainted run. What does this mean for Siddaramaiah?